I am a student at Wilfrid Laurier University and majored in global studies, where we learned about human rights, international development, war and conflict, environmental globalisation, and cultural studies. 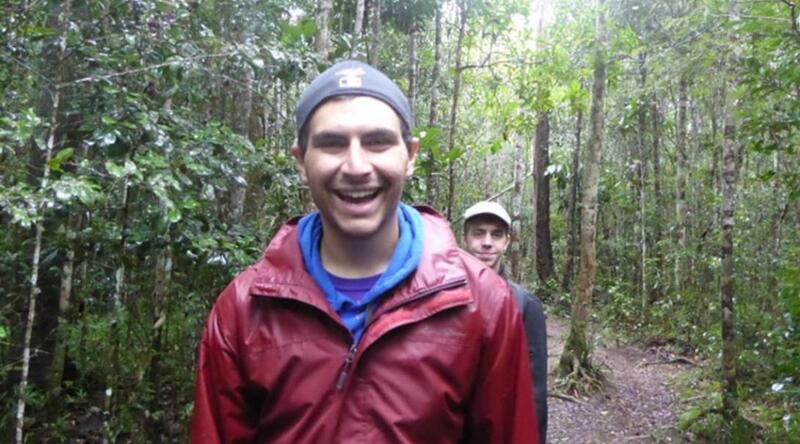 As part of my university program we had the option to volunteer for a month or more in a developing country to learn about a foreign culture through immersion. After a few months of planning, studying and preparations, an eight-hour flight to France, a three-hour lay-over and then a twelve-hour flight over Africa, I landed in Madagascar and made my way to Andasibe. As I stepped off the plane a man named Fidi greeted me. I didn’t know it at the time, but Fidi is well-respected by local families, staff and the community at large. We got into the car and began our drive to Andasibe. We drove throughout the night and got to Andasibe in the early morning light. During the ride I spoke to Fidi about the other volunteers, briefly about Malagasy culture, and he gave me a bottle of water and some snacks to enjoy along the way. We got to the house around 6 am where we were greeted by the incredible, local celebrity Moma Bozy. She is the nicest and sweetest old lady I have ever met and is the first person to welcome volunteers to the house, regardless of the hour. She is incredibly well-known and well liked within the village. Her late husband was the mayor of Andasibe for roughly 40 years and he still has a major impact on the way the village is today. She is roughly five and half feet tall and has the highest pitched voice you could ever imagine. Moma Bozy really does consider herself the volunteer’s mother while they are in Madagascar and always tries to get us to put on a sweater when it is cold outside. In the winter time, you often hear her going around saying ‘manga chicka’ which translates to ‘I’m cold’, but because of her Malagasy and traditional accent she says ‘manga chuck’. It was something the volunteers loved to hear. Religion is very important to Moma Bozy and her family, so she runs a church group in the main reception room of the hotel. There was one afternoon where I was napping and I heard really nice singing and chants coming from the other side of the wall. I walked over and into the room, and there was a pastor that started talking to me. I didn’t quite understand what he was saying so I tried to speak to him and accidentally joined the group. I even got blessed afterwards. Their singing was really nice and I liked it a lot. On one of the Sundays we went to church with Moma Bozy and it was different from anything that I’m used to, but it was an incredible experience. Because of Moma Bozy’s position in the community and her physical living space, she often hosts parties and celebrations for the community that the volunteers are welcome to attend. It was incredible to participate and learn about Malagasy celebrations and traditional dances. Moma Bozy runs a much put together hotel that the volunteers stay in. There are four rooms attached to the house and several nearby. Volunteers have their own area where they would all hang out. We also had the option to hang out with Moma Bozy and the family, where we learned about the Malagasy language and about the culture. They really put 100% into making sure the volunteers feel at home and comfortable with their accommodation. When things broke, they were fixed right away and if we needed an extra blanket on a cold night they were always there to lend us one. Our laundry was also done for a very small fee. We ate all of our meals at the hotel/family’s home. They cooked traditional foods and encouraged us to try it all. I am allergic to fish and they accommodated my allergies better than I could have ever imagined. As part of my volunteer placement I spent two weeks volunteering at a school and two weeks working on conservation related projects. I was placed at a Catholic private school for the first two weeks and it was an interesting experience. The Catholic school is one of the most well-kept, disciplined and put together institutions I have ever seen. School starts promptly at 7 am, the students have a recess or two along the way, they enjoy lunch at 12:30 pm until 2 pm and the day ends at 5 pm. 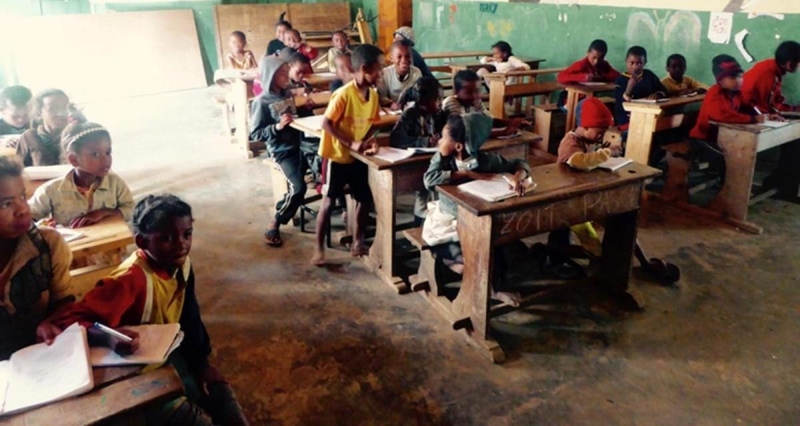 The kids at the school learn to read, write, count and they learn in English, French and Malagasy. At recess, the kids play organised games in the enclosed court yard that has a basketball court. There are several places where the kids sit in the shade, and at the sound of the first bell they all stop what they are doing and freeze. No one moves and no one speaks. Once everyone is quiet and frozen, a second bell rings and the kids run to where their class lines up before being allowed to enter the classroom again. Once in a line, they extend their arm forward and place it on the shoulder of the person in front of them ensuring that the line is perfectly straight and there is an even distance between the students. If the line is crooked or the extended arms are slightly bent the teachers wait angrily before letting them back into the class. The kids go into the classroom first while the teachers follow. The kids then stand at their desks, waiting for the teacher to enter the classroom. Once she enters, all the kids say ‘bonjour Madame/Monsieur. Comment t'allez vous?’. The teacher replies and then asks them to sit, to which they thank the teacher for giving them permission. Throughout my time at the Conservation project I had an incredible time. The project began while I was there so it started off a little slow. Throughout my stay it grew and became something bigger and better, and I am confident that under Fidi’s instruction it has grown into something incredible. While I was there, it consisted of multiple hikes a day to monitor species and to watch their population. We tracked birds, amphibians, plants and, of course, the infamous lemurs and indris. We followed them as they leaped through the trees, tracking their movements with a GPS to learn about their territory. Afterwards, we would go to the tree nursery and weed the growing trees to help nurture them. This helped speed up the time needed before they can be reintroduced into the forest. We also taught local tour guides some English so they could give more tours and make more money for their families. Additionally, we went to a public school and explained to the children the importance of proper waste disposal and sustainability. Projects Abroad Madagascar have incredible staff members. They were able to improve on previously established projects and develop them into something that the community needed, wanted and benefited from. Additionally, they were there for us 100% of the time and made it strongly felt and seen. I am so happy that I had the chance to meet them, work with them and spend time with them. They inspired me to be a better person, learn more, embrace the moment and appreciate the place that we were in.